There are so many platforms these days with so much media and information that it is almost too much to handle. If you go on YouTube and you are looking at guitar videos, you will probably see any number of ads for apps or instructionals that claim to have the quintessential guitar method. These programs always target beginners, and while some of these might be really good, it can definitely get exhausting. I will not be making any claims like this, but I will share with you the way that I learned to play chord progressions and what worked - or did not work - for me. I will not be discussing much of the theory aspect of chords here, but I would suggest getting into that early in your playing career or you will be left trying to catch up and many things will seem confusing. Before moving on, this article requires that you are able to read chord charts. It’s fairly simple. Basically, the diagram is read as if you are holding a guitar up with the fretboard facing you. Any markings are frets that you would play. A “0” above the string, means that string is played open. An “X” above the string means you do not play that string. Lastly, an arc or a thick black line over a set of strings means that you bar that set of strings by placing your finger across multiple strings. Now that we understand how to read chord charts, let’s go ahead and discuss how we can approach chord progressions. In this article, I will mostly address chords belonging to the keys of G and C major. The shapes I will share with you today are open position chords, meaning they use open strings as well as the first few frets. To move these around to different keys, you will need what’s called a capo, which basically serves to move the nut around, so to speak. The good thing is that the shapes themselves don’t change! First, let’s give you some chords to work with. Before moving on to playing actual progressions, the most important thing is that you are able to get a good sound out of each chord. Make sure every note is audible as this is often the most difficult thing for beginners. At first, you will certainly be muting certain notes. This is just something you will have to work through in the beginning. -POSTURE. Yes, like in school. Sit up straight. This will ensure that your hands don’t land in undesirable positions. -Your grip should look like you are gripping a tennis ball. Try to avoid bending your DIP or fingertip joints and try to avoid pressing your palm up against the neck. -You should be using the actual tips of your fingers to fret. Once you feel like you’ve got a good sound out of each chord, it’s time to start trying to play them in succession. The best approach, in my opinion, is to take these in pairs then try to link them all together. Take the metronome, take the first two chords, and play them each four times to a metronome alternating between the two. Remember, take it SLOWLY. It’s important that you get a nice clean sound out of each note than it is to play it fast. I cannot stress enough how important this is. Lots of students come to me with bad habits and it is much more difficult to retrain than it is to learn correctly in the first place. Use the metronome and take it slowly. Additionally, a little bit each day goes a much longer way than trying to cram things into one session and not touching it for another week. Then, you would link the first one back to the last one to begin the progression. Once you feel comfortable making each of these transitions, you can go ahead and try the whole progression. Play each chord four times with a metronome before moving on and then loop the progression. G > C > Em > Am > G > C > Em > Am etc. Now let’s add a few more chords in open position. The F major, while it does not use any open strings, it is close enough to that part of the fretboard that we will group it with the rest of them. Before moving on, I strongly recommend going over the theory that comes with chord construction and functional harmony. This will give you a better understanding of why chords move the way they do and how to create desired effects with specific progressions. Now that we have got some more chords available to us, let’s come up with a few more progressions to give you some practice material. These progressions might sound very familiar. They have all been used to write thousands of songs - literally. As you practice them, take the same approach we discussed earlier. Take two chords at a time, slowly, and link them all together in the end. Doing things slowly and correctly is the key here. Not long after getting this stuff under your belt, you should go ahead and learn a bunch of songs. This is the best way, in my opinion, to see how songs and chord progressions are used to create different effects. The best way to advance in any trade or craft is to build upon what others have already done before you. This way, you will learn new shapes and new approaches as well as gain a better understanding of how certain concepts work. Lastly, I encourage you to begin writing your own songs. The exploration involved with composing is far and away the most intrinsically rewarding part of playing music. The whole point of becoming proficient with progressions and really getting to know your instrument is so that you are able express yourself as fully and as honestly as possible. JTC is very pleased to be able to welcome Jarle H. Olsen to the JTC artist roster! Jarle is an absolutely fantastic prog-metal guitarist and we're very much looking forward to all the great content he is going to be bringing to JTC! You can check out his album and his first 1 track pack by clicking here! We're very pleased to be able to welcome Michael Wagner to the JTC family! Michael is a great guitarist and musician and you can check out his brand new JTC debut package by clicking the image below! Special Offer Ends 4th August 2015! For this week only we have Zakk Wylde's 'From The Vault' on special offer with a whopping 50% off! 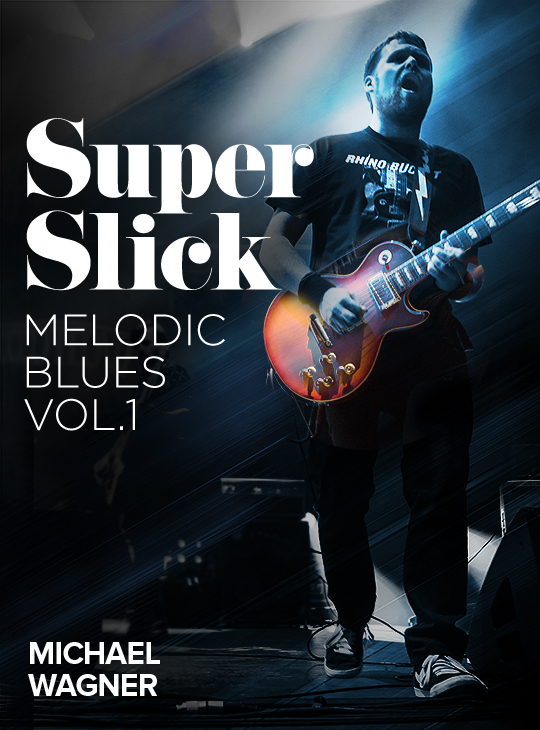 Inside this pack you will find 6 rocking tracks all complete with video, audio, backing tracks and of course full TAB/notation! JTC is very pleased to welcome Nashville guitarist and Shrapnel Records recording artist Johnny Hiland to the JTC ranks! Johnny is a prestigious and world renowned country/blues/rock guitar picker and no-one plays quite like he does! It's a huge pleasure to have Johnny with us and we're excited for all the incredible content he will be bringing to you! JTC is VERY proud to announce our brand new type of product called the 'Masterclass' series. This is your chance to get up close and personal with some of JTC's greatest players and learn their ideas, approaches and techniques directly from the artists themselves. The content of these products can vary as we wanted to give our artists the creative freedom to bring you a product that they felt best explains the concepts that they wish to convey. Our very first masterclass package is by the incredible Al Joseph. In his first masterclass package there are 6 main videos. 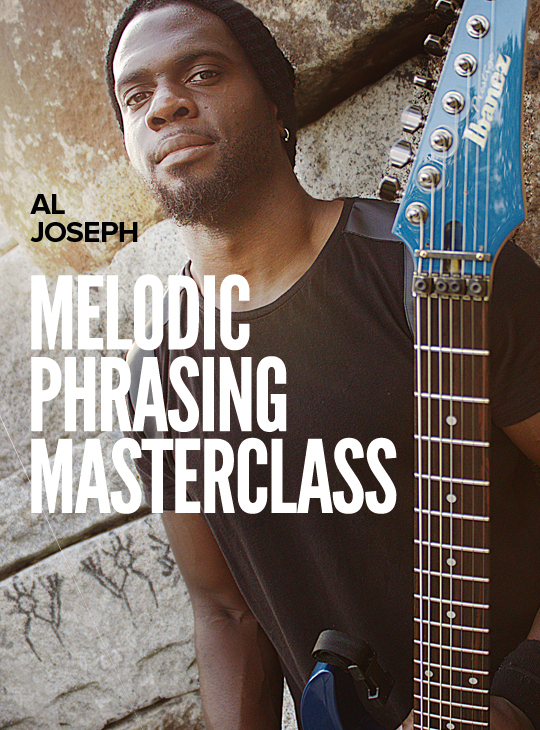 Al starts with a quick introduction video moving onto 'Melodic Phrasing Essentials’ and 'Melodic Phrasing Utilities’. In these, Al gives you all the tools and tips you'll need to work through this course. He then follows up with 'Time Feel' (detailing how he uses rhythmic methods and time feel to generate creative melodic ideas) and 'Melodic Phrasing Motifs' in which he explains his methods behind actually creating his phrases. Then you will find 10 awesome extended phrases for you to master. Each making great use of the tools and tips detailed in the masterclass section, and each coming with its own slow video and accompanying breakdown video where Al takes you through each lick step by step. We've even included some brief text notes alongside Al's explanations to help you work out what's happening in the phrases. Once you've nailed all the extended phrases it's time to put all the material to the test and prove your newly earned skills over the highly jammable backing track. This is your chance to create your own licks and jam out the example phrases in the package. We’ve even included a slow version of the phrase backing track to help you get those tough lines up to speed! All in all, it's a very exciting new product type at JTC which has a HUGE amount of potential for improving your playing with each and every masterclass package you download! New Sam Whiting Release And A Chance To Win!